Nobody ever said, Curbsides are cool. Perhaps that’s why we so often overlook curbs – one of a city’s most valuable assets. Everyone wants to work on expanding small business districts, improving health and education outcomes and leveraging data and technology to transform cities (because that’s all the rage these days). But curbs? Curbs don’t get the attention they deserve. I touched briefly on this oversight during a recent episode of Longitudes Radio, which explored how businesses can help curb (excuse the pun) congestion. But true to form, I felt curbs deserved more attention. If you’re looking for a place to innovate, curbsides should be up your alley (so to speak). Transportation design guidelines speak to the design and outfitting of curbs, but there is tremendous variability of curbside design between cities. New York isn’t Chicago, Chicago isn’t Los Angeles and Los Angeles definitely isn’t Paris or Mexico City. The design of curbsides – and determining their purpose – actually plays a huge role in other aspects of city life. 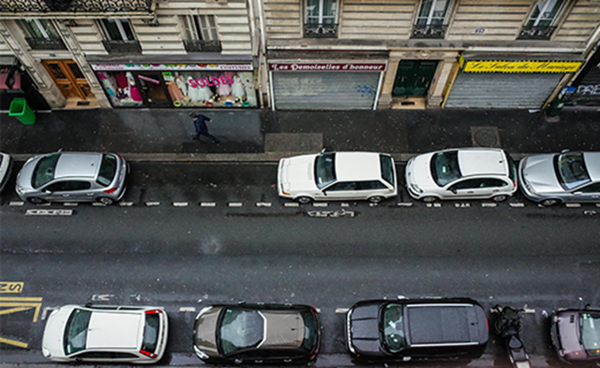 Perhaps the most tangible of these impacts is how parking availability – or the lack thereof – in turn influences traffic patterns and congestion. We’ve all done it – circle the block a few times to find a spot close to our destination. And if a recent survey is in any indication, we’ve actually done it a lot – in fact, to the tune of 17 hours for each American driver on average. Put simply, what happens on the curbside directly impacts what happens on the street, both in terms of social and business connectivity. Curbsides are city focal points – what happens on them matters. Conventional wisdom suggests the answer to issues like circling for parking is just more parking. “Build it and they will come,” though, is only half right – yes, they will come, and yes, you will once again not have enough parking. Meanwhile, our cities are already filled with streets and parking. Approximately 40 percent of a city’s land area is devoted to streets, according to estimates, with much of that space devoted to parking. Meanwhile, some statistics have shown that on average, cars spend about 95 percent of the time parked and only 5 percent of the time in actual use. In other words, roughly 15 percent of a city’s total real estate is for parking. It’s completely inactive, and in most cases, not even assessed the market value for that real estate. These costs are mostly hidden to consumers.We drive, we park and maybe we complain a bit about how the cost of parking went up from $1 an hour to $2.50. But here’s the reality: When adjusted for real estate and tax valuation, that’s nowhere near the true cost of parking. In nearly all cases, cities simply don’t price their curbsides at the going market rate – they’re vastly below market. This in turn incentivizes driving as the dominant transportation mode. Not to pile on curbsides as the problem children of cities, but we’re just getting started. Curbside management – how they’re signed, what’s legal and what’s not, what’s intended and what’s not – plays a huge role in the life of a city. And just like real estate cost, common use and management of curbsides often are at odds with other stated priorities and what’s most valuable. Go out to any D.C. curbside, though, and what you’d find is far different. 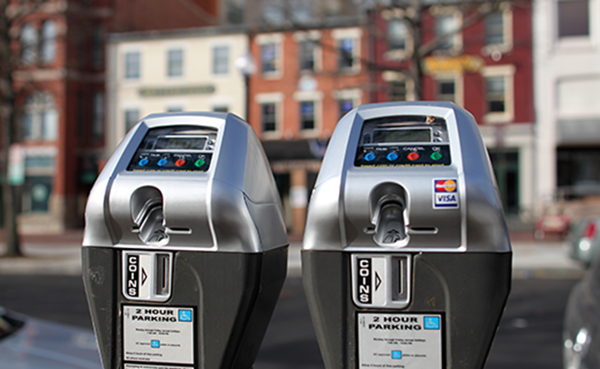 Most block faces are personal vehicle parking – in fact, for every commercial loading zone in D.C., there are upwards of 520 personal vehicle spots! That imbalance of curbside use is like a disturbance in the Force – its ripple effects can be felt light years away. When there aren’t enough loading zones, trucks double park. When trucks double park, cyclists can’t reach the bike lane. When cyclists are moving back into traffic, cars and buses feel the squeeze, and maybe the public transit operator doesn’t pull all the way into the bus stop, which similarly causes traffic to go around the bus, almost like a double-parked truck.